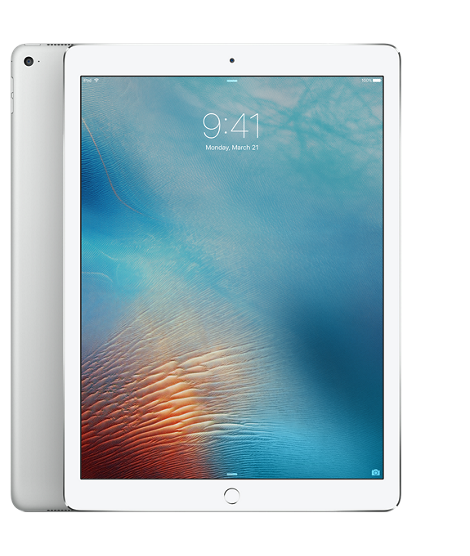 SoCal Rentals - Apple iPad Pro WI-FI 128GB 12.9"
Apple iPad Pro WI-FI 128GB 12.9"
The Apple iPad Pro comes with a beautiful 12.9" Retina Display and a 2732 x 2048 screen resolution, 264 pixels per inch (ppi), and 5.6 million pixels. Supporting high resolution videos and photos, you'll be able to experience vivid colors and deep black levels. The Retina Display delivers greater contrast, more uniform brightness, and improved energy efficiency through photo alignment technology, oxide TFT, and variable refresh rate.